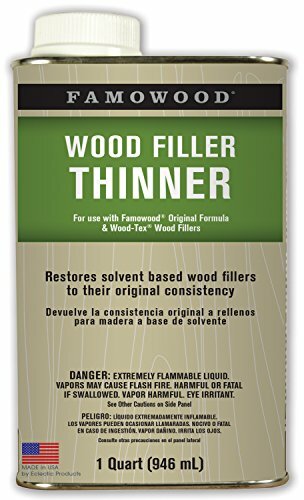 Wood Filler Solvent is designed to keep FAMOWOOD® and WOOD-TEX® wood filler in top working condition. To restore wood filler to its original consistency and workability, should drying occur, add a little Wood Filler Solvent to the can. This will eliminate virtually any waste and extend the life of the wood filler. If you have any questions about this product by FamoWood, contact us by completing and submitting the form below. If you are looking for a specif part number, please include it with your message.